The Sugar Act, also known as the American Revenue Act or the American Duties Act, was a revenue-raising act passed by the Parliament of Great Britain on April 5, 1764. The preamble to the act stated: “it is expedient that new provisions and regulations should be established for improving the revenue of this Kingdom … and … it is just and necessary that a revenue should be raised … for defraying the expenses of defending, protecting, and securing the same.” The earlier Molasses Act of 1733, which had imposed a tax of six pence per gallon of molasses, had never been effectively collected due to colonial evasion. By reducing the rate by half and increasing measures to enforce the tax, the British hoped that the tax would actually be collected. These incidents increased the colonists’ concerns about the intent of the British Parliament and helped the growing movement that became the American Revolution. ==Background== The Molasses Act of 1733 was passed by Parliament largely at the insistence of large plantation owners in the British West Indies. Molasses from French, Dutch, and Spanish West Indian possessions was inexpensive. Sugar (from the British West Indies) was priced much higher than its competitors and they also had no need for the large quantities of lumber, fish, and other items offered by the colonies in exchange. Sometimes colonists would pay Molasses Act taxes because they were rather low depending on where they resided and how much money they had. In the first part of the 18th Century, the British West Indies were Great Britain’s most important trading partner, so Parliament was attentive to their requests. However, rather than acceding to the demands to prohibit the colonies from trading with the non-British islands, Parliament passed the prohibitively high tax on the colonies on molasses imported from those islands. If actually collected, the tax would have effectively closed that source to New England and destroyed much of the rum industry. Instead, smuggling, bribery or intimidation of customs officials effectively nullified the law. During the Seven Years War, known in Colonial America as the French and Indian War, the British government substantially increased the national debt to pay for the war. 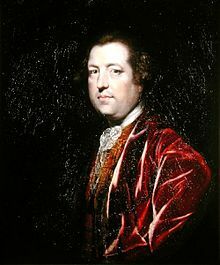 In February 1763, as the war ended, the ministry headed by John Stuart, the Earl of Bute, decided to maintain a standing army of ten thousand British regular troops in the colonies. Shortly thereafter, George Grenville replaced Bute. Grenville supported his predecessor’s policy, even more so after the outbreak of Pontiac’s Rebellion in May 1763. Grenville faced the problem of not only paying for these troops but servicing the national debt. The debt grew from £75,000,000 before the war to £122,600,000 in January 1763, and almost £130,000,000 by the beginning of 1764. George Grenville did not expect the colonies to contribute to the interest or the retirement of the debt, but he did expect the Americans to pay a portion of the expenses for colonial defense. Estimating the expenses of maintaining an army in the Continental colonies and the West Indies to be approximately £200,000 annually, Grenville devised a revenue-raising program that would raise an estimated £78,000 per year. The Molasses Act was set to expire in 1753. The Commissioners of Customs anticipated greater demand for both molasses and rum as a result of the end of the war and the acquisition of Canada. They believed that the increased demand would make a sharply reduced rate both affordable and collectible. When passed by Parliament, the new Sugar Act of 1764 halved the previous tax on molasses. 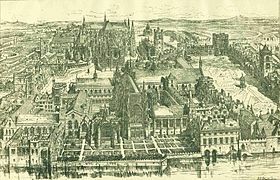 In addition to promising stricter enforcement, the language of the bill made it clear that the purpose of the legislation was not to simply regulate the trade (as the Molasses Act had attempted to do by effectively closing the legal trade to non-British suppliers) but to raise revenue. The new act listed specific goods, the most important being lumber, which could only be exported to Britain. Ship captains were required to maintain detailed manifests of their cargo and the papers were subject to verification before anything could be unloaded from the ships. Customs officials were empowered to have all violations tried in vice admiralty courts rather than by jury trials in local colonial courts, where the juries generally looked favorably on smuggling as a profession. The Sugar Act was passed by Parliament on April 5, 1764, and it arrived in the colonies at a time of economic depression. It was an indirect tax, although the colonists were well informed of its presence. A good part of the reason was that a significant portion of the colonial economy during the Seven Years War was involved with supplying food and supplies to the British Army. Colonials, however, especially those affected directly as merchants and shippers, assumed that the highly visible new tax program was the major culprit. As protests against the Sugar Act developed, it was the economic impact rather than the constitutional issue of taxation without representation that was the main focus for the colonists. New England ports especially suffered economic losses from the Sugar Act as the stricter enforcement made smuggling molasses more dangerous and risky. Also they argued that the profit margin on rum was too small to support any tax on molasses. Forced to increase their prices, many colonists feared being priced out of the market. The British West Indies, on the other hand, now had undivided access to colonial exports. With supply of molasses well exceeding demand, the islands prospered with their reduced expenses while New England ports saw revenue from their rum exports decrease. Also the West Indies had been the primary colonial source for hard currency, or specie, and as the reserves of specie were depleted the soundness of colonial currency was threatened. In August 1764, fifty Boston merchants agreed to stop purchasing British luxury imports, and in both Boston and New York there were movements to increase colonial manufacturing. There were sporadic outbreaks of violence, most notably in Rhode Island. Overall, however, there was not an immediate high level of protest over the Sugar Act in either New England or the rest of the colonies. That would begin in the later part of the next year when the Stamp Act was passed. The Sugar Act was repealed in 1766 and replaced with the Revenue Act of 1766, which reduced the tax to one penny per gallon on molasses imports, British or foreign. This occurred around the same time that the Stamp Act of 1765 was repealed.